Manufacturer of a wide range of products which include disposable green mask and dust mask. We are one of the leading manufacturers and suppliers of Disposable Green Mask. 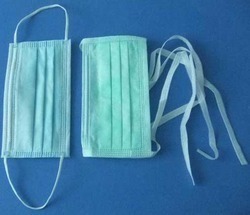 The offered disposable green mask is `very commonly used in hospitals, clinics and nursing centers. 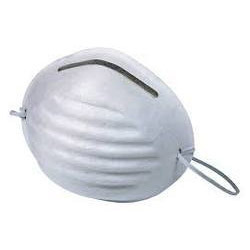 Our supplied disposable green mask is capable of protecting the wearer from dust, dirt and germs. The offered disposable green mask is available at very affordable rates. We feel proud to introduce ourselves as the well-known manufacturers and suppliers of Dust Mask. The offered dust mask is widely used for the preventing dust and dirt, entering into mouth and nose. Our supplied dust mask is very useful for the construction sites and high dust environments. The offered dust mask is easy to use. Looking for Safety Face Mask ?